Not every golf club is designed with the beginner in mind. If you aren’t careful, you can end up using a club that doesn’t work very well for you, and it can drastically impair your game. We’re going to show you how you can pick the right club for when you are starting out. We’ll cover the ways that beginner clubs benefit you and show you some common mistakes to avoid, as well as review a few of the best golf clubs for beginners to get you started. We have looked through what’s available in beginner golf clubs, and we picked out the very best. Our determining factors for putting something on this list were quality of the product, price and suitability for beginners. We have given you a range of products to pick from to suit most budgets and needs. Wilson only make this wide for right-handed players, so lefties take notice. 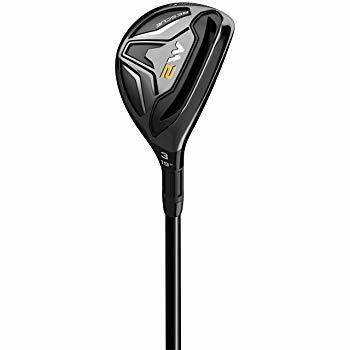 Other than that, though, this is a great starting club for golfers, and it offers great loft and plenty of wedge area to ensure you hit the ball with every stroke. It is built with a special sole grind that lets you open the club face and get better performance out of it. It falls into about the mid-price range and is made from durable materials, so you should have no trouble getting your money’s worth out of it. The accuracy is decent for a beginner’s club, and you’ll get lots of height out of your hits with the way this club is designed. If you have struggled to get your ball off the ground and end up going way over par when you play, then this is a great option for you. It has a sleek design and a non-glare finish that make it look stylish out on the green, so even though it made for beginners, it looks very professional. Very easy to play with. Gives you plenty of options for playing around the course. Here is an even more affordably priced option that is designed with beginners in mind. 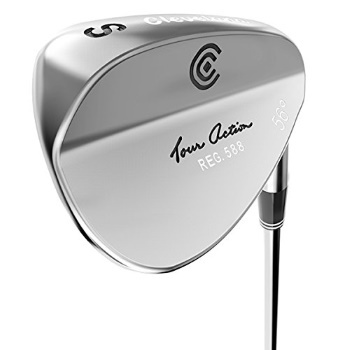 It is made with steel to give you plenty of value for your dollar, and it has a very large wedge face for easy hits. You’ll have little problem getting your ball to fly up into the air, and the performance here is comparable to far more expensive wedges from other manufacturers. Even semi-experienced players can use this wedge fairly well and stay reasonably accurate, so you can continue to use it for a long time. It’s not one of those clubs you will have to drop right away once your game starts to improve. It also comes in an array of wedge degrees, so you can play the way you want to and pick a variation that works with your strengths. 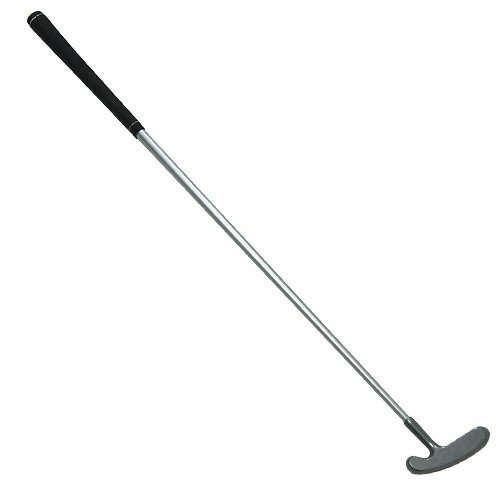 This is also great club for slicing through the grass, thanks to how heavy it is. Because it has some weigh to it, it also offers great loft, helping you hit those balls high but not far. Makes it easy to hit in rough conditions. Designed for beginners and intermediate players. Comes in lots of variations. This is one of the simplest putters you can get, so that makes it fine for beginners. It isn’t very forgiving, but it also isn’t terribly technical. The face is kind of small, making it difficult for those with poor aim to hit the ball, but the straightforward design is going to be a boon to those who have had trouble with more complicated putters. There will only be certain areas of the course where this will be the preferred club to use, so you will want to partner it with a large set for more effective golfing, but you’re actually allowed by the rules of golf to use any club on any shot. Once you get the hang of where certain clubs are preferred, however, you’ll have a better idea of where to use this putter. This club comes in both right hand and left hand varieties, and the price makes it affordable for just about any budget. However you should not expect to get a lot of years of use out of it, because it is made of cheaper materials than some of the other choices we are looking at here. Simple to use for beginners. Can be tough to hit the ball with it. Only practical for some shots. For something far more expensive and high end, you can give the Cleveland 588 a look. It’s made for people who don’t always hit their shots and have trouble aiming toward the hole every time. The wedge face is very forgiving, ensuring you hit the ball pretty much every time. The weight and the angled face help you get more height and distance out of your shots, and it has a 50 degree loft, though you can purchase it in other angles if you like. The satin finish ensures it does not glare in the sunlight, and the sleek look allows it to fit right in with more advanced clubs. 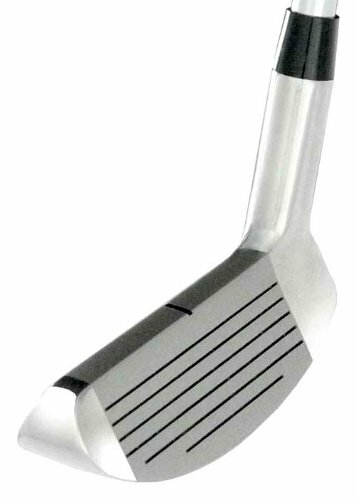 This stainless steel wedge should last you, but you can expect to pay more for it than you would most of the competition. 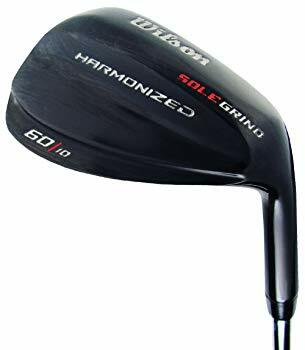 It’s not for casual golfers due to that higher price point, so only those who are trying to improve their game and get to a more advanced level will want to invest in this wedge. Comes in a few different variations to suit your preference. High quality design looks good and is very durable. Ideal for both amateurs and intermediate players. If the beginner player is a toddler or small child, then this is a great starter set for them. We want to give you a few options here, because we don’t know who you are buying the clubs for. This is the best option for kids because it will last them for years and not be easily destroyed like cheaper clubs that are really just toys. They aren’t overly expensive, though, and you get three clubs- fairway wood, iron and putter. The oversized heads allow for maximum forgiveness, which is just what young, aspiring golfers need. Their accuracy is going to be way off, and they just need a club that can help them hit the ball most of the time, which is exactly what these clubs are designed for. 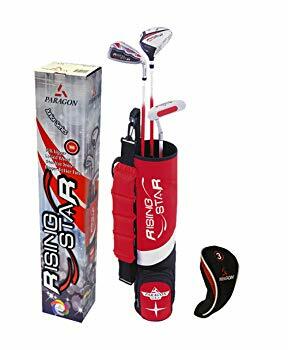 Just be sure that your child will be able to play comfortably with these clubs since they are designed with a knuckle to ground measurement of 18 inches. They are made for kids ages three to five, so if your kid is very tall or short for their age, you may want something else. The included bag is not very durable. Pinemeadow excels at making affordable, high quality clubs for new golfers, and this is no exception. The large face is the best feature for inexperienced players, as it ensures they are able to hit the ball and get some height behind their hits. There are some subtle design features that help players with their alignment, reducing frustration. This is also a very light club, which also makes it great for new players. 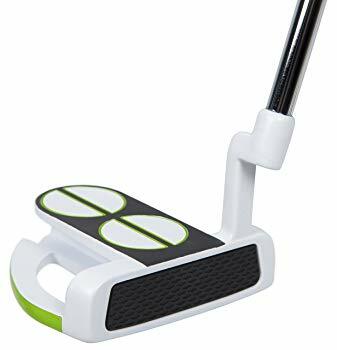 This is frankly one of the easiest putters to use, and if you have tried others and not had much luck, don’t give up on beginner putters yet. Give this one a shot and see if it doesn’t make a big improvement in your game. It should be noted that this is not a very durable putter. The individual parts are all of decent quality, but they aren’t held together very well, and that’s the only thing that really brings this putter down, in our opinion. Super easy to play with. Great for getting some height on your shots. This is another excellent Pinemeadow option for beginners. It comes with an innovative design that lets you adjust the head to your liking. For many people, it will improve their game to some degree. You’ll likely notice better precision and control when you play, once you get the hang of how to adjust the putter to your style of play. 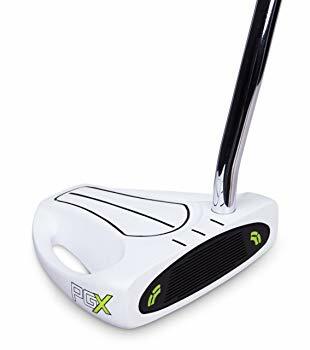 It improves your aim by improving your alignment, and if you have trouble hitting straight shots or getting the ball where you want it to go, then this may be the putter to add to your collection. It’s a bit more expensive than a lot of what we have covered here in this article, but not by much. The slightly higher price tag is warranted due to how versatile and accurate this putter can be for you. The large head makes it ideal for beginners, but its odd look may make it an eyesore for some players who are used to a more conventional design. Also an eyesore is the wear and tear this putter is likely to experience over the course of its use. Its wears down faster than most of the competition, so if that is important to you, you need to be aware of this characteristic. For a higher end club, you can try this one from TaylorMade. The price is due to the higher quality materials and very durable construction. This one should not prematurely wear out on you. It also looks sleeker, but still has that large head that’s great for beginners. It comes with a few different options for degrees and flexibility. 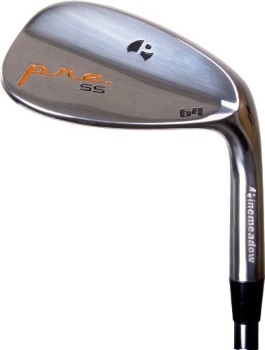 Remember to buy a club that is made for your style of play. The grip is excellent, and there is little risk it will slip from your hand as you play. Besides the price, the only real downsides are that it doesn’t always include a headcover and has a small sweet spot. Other than these small quibbles, though, this is an excellent club. Easy to start with and keep playing with as you get better. May not include a head cover. Intech has designed a chipper club that is made for pulling off the difficult shots. For those players who have trouble getting around the green and hitting shots from more than one stance, this chipper has been specially constructed to help you with the tough shots. It uses a two-faced design that allows left handed and right handed players to use it, and it is built for playing with from a variety of stances. This will probably be the club you’ll want to pull out when you get in trouble out on the green and need a minor miracle to get yourself out. You need to know that it isn’t legal for golf tournaments because of the double-sided head and that it may not work well or you in tall grass. Great for tougher shots that other putters can’t pull off. Can be used by left and right handed players. Not ideal for tall grass. Let’s finish with one last TaylorMade selection for you. This is a fairway club that has a slightly larger face than your average fairway. It is great for getting the ball high and far, thanks to its lightweight shaft design and heavy head. You can choose from a couple of degrees options to suit your preferences and pick from two different flexibility options. 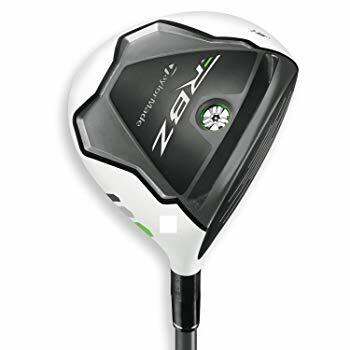 This is one of the more expensive options we have listed here, so you only want to go for it if you are serious about your golf game, and you’ll be able to use it long after your game has started to improve. Lots of options when you buy it. Excellent for improving distance and height. May be too expensive for some. If you haven’t played golf for every long, you may think that pretty much all the clubs are the same. Some may be shorter or longer or a bit heavier, but otherwise they seem to be basically doing the same thing. That’s not true, though, especially if you compare beginner clubs to those that are made for more experienced players. Beginner clubs tend to hit the ball up higher in the air and give you more leeway in hitting the ball. They lack the precision and control of expert clubs and are basically designed to keep you playing and keep frustrations to a minimum for new players. Once you get the hang of golf and start to know when to use certain clubs, you’ll want to move on from the beginner clubs, but when you first start out, these newbie clubs can make a huge difference. The difference will be obvious if you take a new player and give them an expert club and a beginner club to hit a series of balls. With the beginner club, they will hit farther and higher. They will also be able to hit the ball easier in the direction they want it to go. With the expert club, they will struggle to get the ball to do very much and require a lot more hits to get to the hole. The best golf clubs for beginners will simply make it easier and more enjoyable to play the game as you get used to the sport. Don’t feel embarrassed to ask for beginner clubs and to use them out on the course with your friends. You’ll have a much better time playing and be able to keep up with your more experienced friends. Eventually, you’ll get to their level, but everyone has to start out somewhere. The Right Set– If you are buying a beginner set of golf clubs, there will be certain golf clubs included and some that won’t be part of the set. According to Golfweek.com, the beginner set usually won’t have the driver or the two, three or four irons, since those are the hardest to hit with for beginners. If you are buying from a physical retailer, then you can ask the employees which sets are for beginners. If you are buying online, look for the word “beginner” in the description. It may not be in the product name, but the product description should say something about beginner clubs if it is suitable for you. Good Grips– When you are just starting to play, you may not be used to holding the golf club and keeping it firm while you play. It could slip out of your hands and cause you to miss the shot, if the grip is not decent. The best grips are molded to fit the player’s hands or have a porous material that allows you to retain a better grip. When shopping online, you can usually zoom in on product pictures, and you should do so with the grip to determine if it looks like the club will stay in your hand. Price- It doesn’t make sense to pay a lot for clubs you will only be using for a short while. 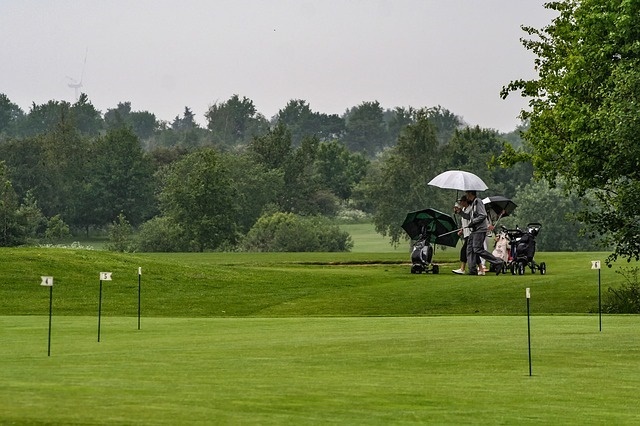 If you are going to be playing golf often, you will move on from the beginner clubs in short order, and you don’t want to sink a lot of money into those first clubs. It’s okay to buy your clubs used, so long as the grip is in good condition and the club isn’t too beat up. Look for Loft- As a beginner, one of your biggest struggles will be getting the ball into the air, and Golf Digest recommends that you go for a club with some loft on it. That way, you can get more distance and speed out of your ball and spend less time putting it around the course. Instead of inching your way toward the flagpole, you’ll be rocketing toward it, and that allows beginners to have a lot more fun and reduce their frustration in the early stages of learning how to play. Buying a Large Set- You only need a few clubs to start out with, and golf legend Bobby Jones says that you should avoid buying a bundled set of clubs just because the price is appealing. 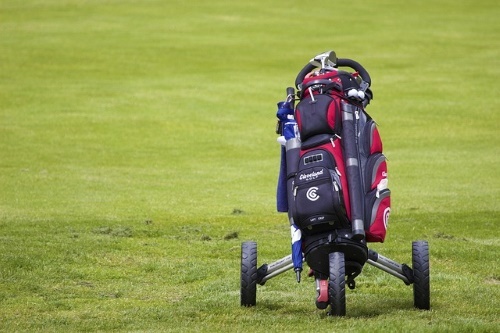 You could end up wasting your money as you may not even use all those clubs before you outgrow them. Instead, just get about five or six clubs to begin with and work your way up from there. It’s going to take a while to get comfortable with those clubs alone, so there isn’t much point in confusing yourself with a larger set. The Wrong Gender- There are clubs made for guys and clubs made for girls, and you want to take who the club is made for into consideration when you buy. If you find a cheaper club that is made for the opposite gender, you might regret buying it. It could be too long or too short for you or simply not play to your strengths. Buying the club for your gender can make quite a difference, even if they look basically the same. Buying against Style- Do you like to swing fast and hard when you golf? 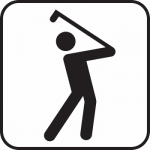 Then GolfDrives.com suggests you use a club with a “stiff” rating, since that plays to your strengths. If you use a very flexible club but hit really hard, then you will end up missing your shots or hitting far too short. You need to know what your play style is and buy accordingly. Yes, you could get a few different types of clubs for when you feel like hitting different ways, but most people tend to hit either hard or soft the majority of the time, so it doesn’t make much sense to buy clubs that go against your preferred play style. You can always rent some clubs first and see how you play before you buy some for yourself. You don’t have to feel obligated to pick one of the golf clubs we reviewed. These may be some of the best golf clubs for beginners, but there are lots of other great choices out there as well, and you can simply use the guidelines we have you earlier in this article to find one that works well for you. The important thing is that you pick a golf club that improves your game and minimizes frustration for you, and we hope this guide allows you to do just that.